An Italian lawyer told me recently about his strategy for survival in teleconferences when he is required to give his legal opinion in English. In these situations, he is usually very familiar with the case under discussion, so before the meeting he writes down what he knows he will have to say in Italian, then copies and pastes the text into Google Translate, and when it’s his turn to speak he reads out the translation, “performing” it as if he were speaking spontaneously. Translations from Google Translate are far from perfect – but they are good enough, and allow him to express himself more confidently than he would if he had to perform his professional role in English, unscripted. I think this is a story of communicative genius, and this lawyer shows great “pragmatic” skill. Communicating with other people in our mother tongue – let alone in a second language – can often be a challenge, full of opportunities for misunderstanding and embarrassment. Pragmatics is the study of the rules of communication, and looks at how we break those rules, and what conditions need to be in place for successful communication to happen. To understand what someone is saying to us, we need to use our knowledge of the world and of human behaviour and relationships. Pragmatics studies unspoken aspects of language, for example, when the speaker suggests or hints at a meaning, and the listener assumes an intention. The meaning of what you say doesn’t only depend on the linguistic knowledge (e.g. grammar, vocabulary, etc.) of the speaker and listener, but also on factors including the context of what you’re saying, your knowledge of the people involved, and the unspoken intention of the speaker. Pragmatics looks at context, meaning and emphasis. Pragmatics explains how people can overcome apparent ambiguity, since meaning depends on the manner, place, time etc. of what is said. In the conversation above, pragmatic skill allows most people to infer that speaker B doesn’t have a high opinion of the new offices. The ability to understand another speaker’s intended meaning is called pragmatic competence. So, if a native English speaker replies to your question with another question, “Is the Pope a Catholic?”, pragmatic competence in English means you understand the answer to be an emphatic “yes!”. Assuming you’ve never heard this expression before, you based your correct guess on your knowledge of the context, of the person you’re talking to, and of the probability they will have replied “yes!” to your question. Why did they say it like that? Pragmatics looks at the implicit understanding between people to obey certain rules of interaction. Pragmatics studies how words can be interpreted in different ways based on the situation. Pragmatics is about the choices you make when you use language and the reasons for those choices, and the effects those choices convey. “Why did they do it that way rather than that way? In one example of a British 1980’s comic strip called “Mr. Logic”, Mr Logic is walking along a street and an American tourist stops him and says, “Excuse me, buddy, do you know the way to the city museum?”. Mr. Logic appears to think about this, and then says “Yes.” – and walks away. Paul Grice, a British philosopher of language, defined the Cooperative principle and the Maxims of Conversation, which can be summarised as “you should say things that are the right kind of things for the kind of conversation you are having”. Maxim 1. Quality – tell the truth: you can’t have a quality conversation with someone if they think you are lying to them. Maxim 2. Quantity – say as much as you need to, to be clear – and say only as much as you need to. Maxim 3. Relevance – keep to the point, don’t digress, maintain a logical flow. Maxim 4. Manner – use words your listener will understand; speak for an appropriate amount of time; don’t be ambiguous; talk about things in a logical order. Technically, Mr. Logic is following the rules of conversation: he’s telling the truth, he’s clear and logical. However, he is showing a lack of pragmatic skill in his management of ambiguity, in failing to recognise that what the American tourist said was a request for directions. Pragmatic skills allow you to break the rules of conversation and understand why people break them. We break the rules of conversation all the time, either deliberately or unintentionally for many reasons, from conforming to cultural norms, to overt acts of aggression, e.g. when we use technical language with a non-technical person it could be interpreted as excluding the person or trying to make them feel stupid. In the example above, speaker B is breaking the rule of “relevance” by misinterpreting the expression “give me a ring”. We are not born with much pragmatic skill, and it’s something we learn from observation or from our education. There are psychological conditions which make it difficult to acquire these skills, which include the ability to read body language and deal with ambiguity of meaning. Life for people with poor pragmatic skills is hard, as they constantly struggle with interpreting what people say to them, and find it challenging to express themselves in a nuanced way, often coming across as rude and insensitive. 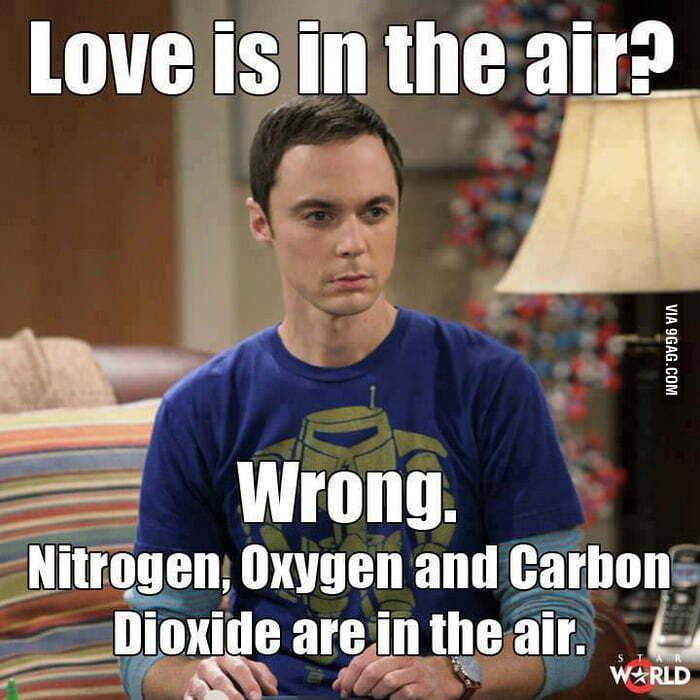 The character of Sheldon Cooper, the brilliant, but difficult-to-manage physicist in the TV series, The Big Bang Theory, is a good example of someone who is pragmatics-impaired. Sheldon can’t tell when people are being sarcastic, and even requests that his friends hold up a sign saying “sarcasm” whenever they use it. In one scene in The Big Bang Theory, Sheldon and his girlfriend, Amy, are having dinner and Sheldon is delivering a monologue about shopping for videogaming technology. Sheldon is showing a lack of pragmatic skill by talking too much about something that doesn’t interest Amy at all, which the audience can infer from her body language. The problem with sarcasm is that you deliberately break the rules of conversation by saying the opposite of what you mean, to express what you mean, and if you have poor pragmatic skill, you can only literally interpret the language you hear. Even if we have excellent pragmatic skills in our mother tongue, these do not seem to automatically transfer to our second language. When we communicate in our second language we are usually so focussed on producing correct language or on trying to understand the words we are hearing that we have little attention left for the more subtle aspects of interaction. When I’m at Victoria station in London I am always slightly shocked by the way Italian visitors buy tickets. They nearly always say, “Give me a ticket to [destination].” This is a translation of a polite and acceptable way of buying tickets in Italy, (“Mi dà un biglietto per …”), but it sounds very rude in English, which requires a lot of ‘pleases’ and ‘coulds’ to make us sound polite. Operating in a second language is a minefield of opportunities to be rude and to feel offended, not just because we don’t have enough attention for body language and linguistic nuance, but also because rules change when we cross cultures. In my next post I’ll explain how we can use Pragmatics to help us perform more effectively in our second language and engage in meaningful exchanges that don’t depend on our knowledge of grammar and vocabulary. Very nice Elena! I often feel like a Sheldon in my second languages 🙂 Keep up the articles! I appreciate them! !